Hello and welcome to another episode of Searching Standard. As the current SUM-LOT Standard begins to wrap up, a lot of people are already starting to brew new decks with the new set, Sun & Moon: Team Up, in mind. This week I have for you a deck that is looking to capitalize on the fact that Pokemon-GX are about to become more played when the Tag Teams come out. It comes to us courtesy of alyL from the PokeBeach.com Forums. Let's take a look at the deck. Sigilyph-GX LOT 98 is a great Pokemon to have as your Active Pokemon when your opponent also has a Pokemon-GX as their Active Pokemon. 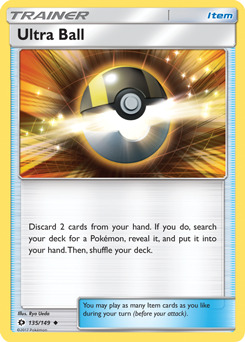 It’s Mirror Counter Ability really acts as a barrier against attacks from opposing Pokemon-GX. 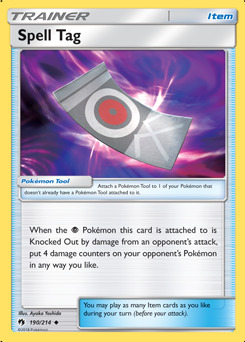 If your opponent has a Tag Team Pokemon as their Active Pokemon, they will certainly have to consider whether knocking out Sigilyph-GX LOT 98 is worth the damage Mirror Counter will do back to them. The thought of losing three Prize Cards compared to you only losing two (or perhaps only one... more on this later) can be tough to swallow. Sigilyph-GX LOT 98 also has a great Sonic Wing attack that hits for 80 damage and isn't affected by resistance. Knowing that you'll always be able to hit for a certain amount of damage can take a lot of pressure off of a player and allow them to use the mental power that would be used on calculating attack numbers on other aspects of the game instead. 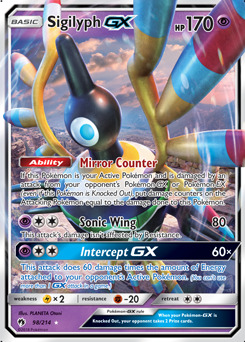 Finally Sigilyph-GX LOT 98's Intercept GX attack is a great way to one hit knock out (OHKO) an opponent's Pokemon that has a lot of energy attached to it. And since most of the Tag Team Pokemon have attacks that require a decent amount of Energy, saving this to use on one of them seems like a good idea. I mentioned earlier that your opponent isn't guaranteed to take two Prize Cards when they knock out Sigilyph-GX LOT 98. 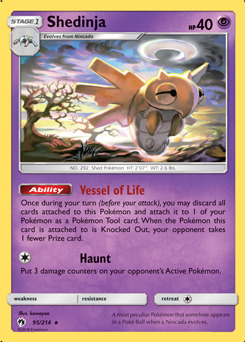 That's thanks to the Vessel of Life Ability from Shedinja LOT 95. This ability is the primary reason to play Shedinja LOT 95, but if you're really in a pinch and have no other options, it's not difficult to attach the one energy required for Shedinja LOT 95's Haunt attack. You won't want to do this unless you have no other options though, as the Energy in this deck is streamlined to be just enough for your good attackers. Banette-GX CES 66 serves a couple of purposes in this deck. Primarily you'll want to use its Shady Move Ability to either move a damage counter from one of your Pokemon to another in order to help avoid a knock out. 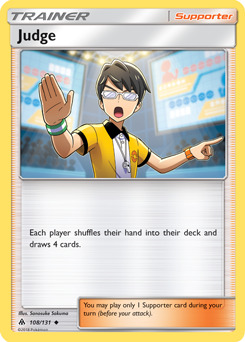 Alternatively, you can also use this ability on your opponent's Pokemon and set up damage to make it easier for you to KO an opposing Pokemon. If you're really lucky, you'll be able to knock out an opponent's Pokemon by moving damage around and then knock out another by attacking. 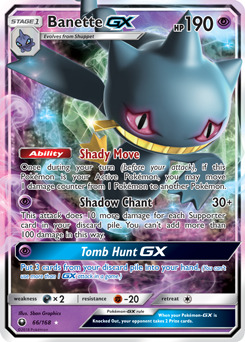 Speaking of attacking, Banette-GX CES 66 has the capability to deal a lot of damage with its Shadow Chant attack. While it's difficult to deal the full 130 damage with it, the longer the game goes the more damage you'll do. 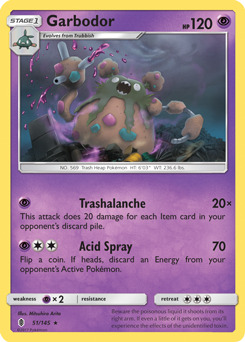 Against certain decks, Garbodor GRI 51 can deal out a great amount of damage by using its Trashalanche attack. 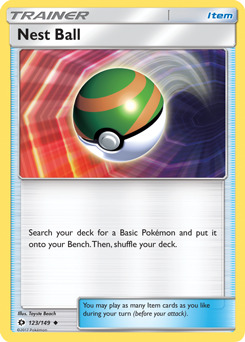 Since most decks will run at least a few items in them (various Poke balls mainly), you should be able to get at least a fair amount of damage in with this attack. 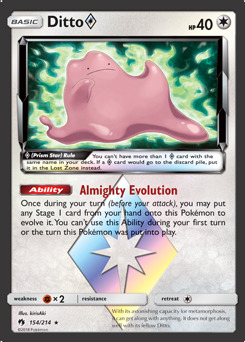 Ditto Prism Star LOT 154 is a great Pokemon to play in the early game, as it allows you to evolve it into Banette-GX CES 66, Shedinja LOT 95, or Garbodor GRI 51. 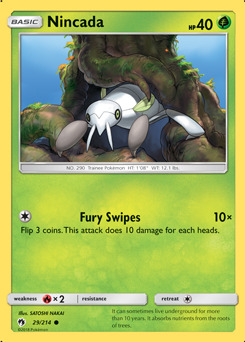 It offers a lot of versatility, which is the reason it sees a lot of play in decks that run Stage 1 Pokemon. Marshadow SLG 45's main purpose is hand disruption. 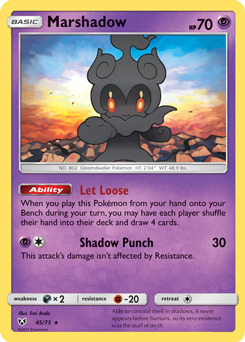 Play Marshadow SLG 45 when your opponent has searched their deck for specific cards and ruin their plans. All of these cards are included for their ability to draw you extra cards. 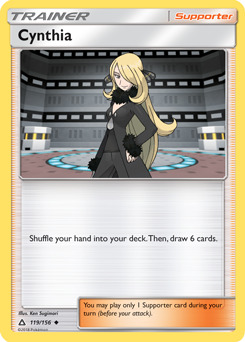 Judge FLI 108 also has the added benefit of being hand disruption against your opponent, similar to Marshadow SLG 45. All of these various Poke balls are ways for you to be able to find the specific Pokemon you need at the time. I'll talk more about some changes that should be made to these cards after discussing the next card. 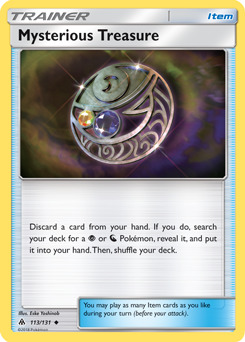 At the cost of discarding a single card, Mysterious Treasure FLI 113 can help you find almost any Pokemon in this deck. It's definitely a card that should be played in higher numbers, however the poster of this deck only currently has one Mysterious Treasure FLI 113 in their collection. 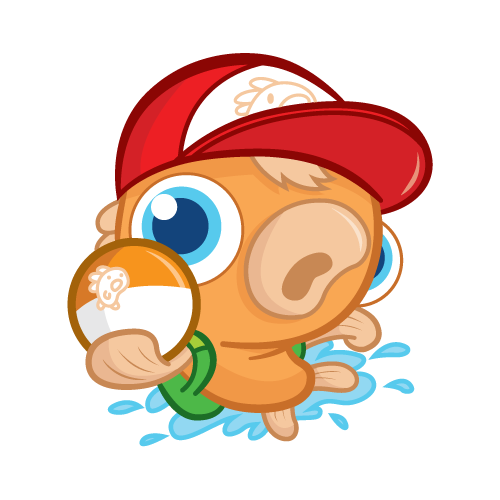 If they had more, they have indicated that they would likely remove the Great Ball SUM 119 while increasing the amount of Mysterious Treasure FLI 113 to three copies and lowering Ultra Ball SUM 135 to three copies. If I were to change it, I would include four copies of Mysterious Treasure FLI 113, four copies of Ultra Ball SUM 135, and three copies of Nest Ball SUM 123. 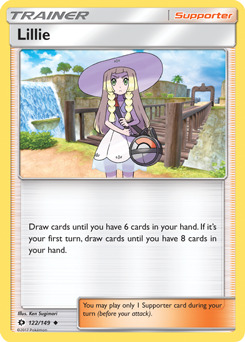 Acerola BUS 112 is included in this deck as a way to prevent your opponent from taking a Prize Card. 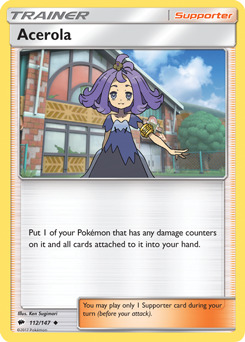 By using Banette-GX CES 66's Shady Move Ability, it's easy enough to get a damage counter on any of your Pokemon in order to use Acerola BUS 112 to return them and all cards that are attached to them to your hand. 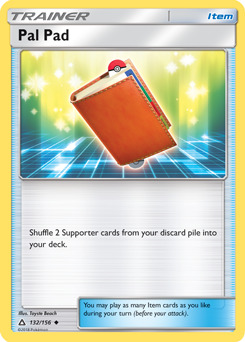 This is a great way to be able to "reuse" a Shedinja LOT 95 that you have attached to one Pokemon when you'd prefer to have it attached to a different one. Obviously Guzma BUS 115 is a great way to bring up an opponent's wounded Pokemon in order to knock it out. 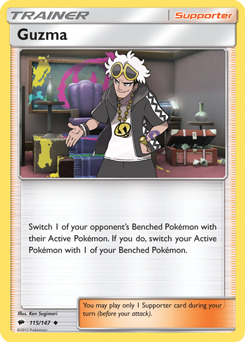 Guzma BUS 115 is played in nearly every deck for a reason. 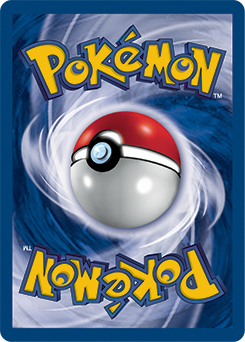 It's the best card that allows you to choose both players’ Active Pokemon. 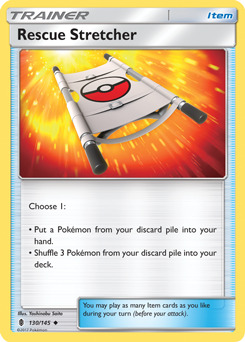 Rescue Stretcher GRI 130 is another staple card in the format. It allows you the possibility of having multiple uses out of the same Pokemon. 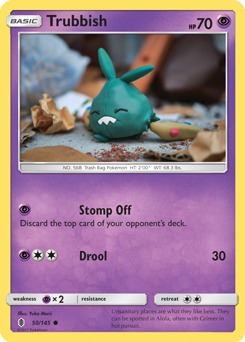 Spell Tag LOT 190 is a card that makes your opponent decide whether it's worth attacking your Active Pokemon, or whether they'd rather not and avoid having four damage counters placed on their team as you choose. Thanks to Banette-GX CES 66's Shady Move Ability, you'll have a lot of options for where to move those damage counters to for maximum effect. 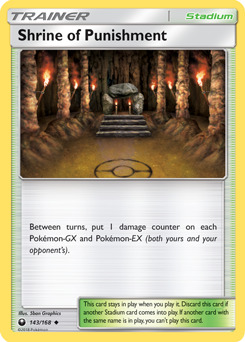 Most decks that play Pokemon-GX's in them don't want to see Shrine of Punishment CES 143 hit the battlefield. Once again, thanks to Banette-GX CES 66's Shady Move Ability, this deck doesn't mind it as much. 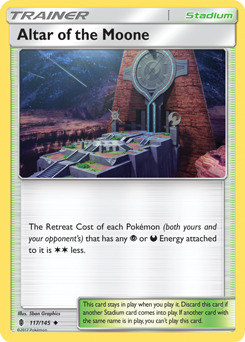 Alternatively, if you have your other Stadium, Altar of the Moone GRI 117, in play, you'll be able to retreat the majority of your team for free as long as they have a Psychic Energy attached to them. The lone exception to this will be Garbodor GRI 51. 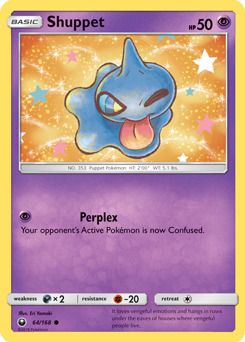 The poster of this deck, alyL, indicated that Pal Pad UPR 132 is a card that they usually include in all of their decks that run Acerola BUS 112. Even so, I think the single copy of Pal Pad UPR 132 isn't a bad card to play as it allows you the possibility of using any Supporter you've already used an additional time. Since the Supporters in this deck are pretty useful and not things you would need only for specific situations, having a copy of Pal Pad UPR 132 seems okay. While I don't think this deck is currently a tier one deck, I think it has a lot of potential, especially when Sun & Moon: Team Up becomes Standard legal. Sigilyph-GX LOT 98 is a card to keep an eye on over the next few months. 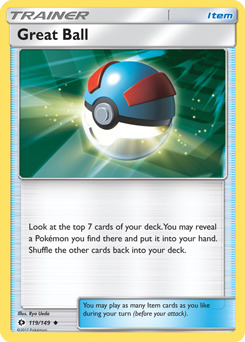 Thank you to PokeBeach.com Forum user alyL for posting this decklist.